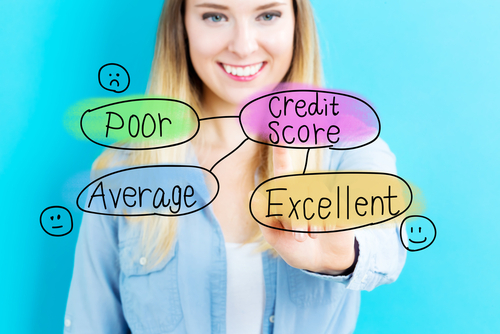 Now is a Great Time to Buy – How is Your Credit Score? Tougher lending laws are now leading Fannie Mae to require a minimum of 640 credit score as a qualification for some loans. This includes FHA and VA loans. However, in order to get the best rate, a credit score of 720 is required and verifiable income. In the past, a mortgage broker was able to shop around for the best rates, but the new procedures and the Home Valuation Code of Conduct have made this difficult. Lenders will no longer take a broker-commissioned appraisal, so the Buyer will have to pay for a new appraisal for each lender. This costs time and money. However, for those needed that extra help, then a broker is the best bet. Despite all this, now is a great time to buy. Interest rates are low, prices are favorable and there is a possibility of an extension of the federal tax credit. If your credit does not qualify, make sure you take steps to raise it. Pay your bills on time and pay off your debt. Also, never close an old credit card and use as small a portion of your available credit that you can. Lastly a 30-year fixed is the best mortgage to take. You never have to think about it again.